Happy Monday! I've added a new category onto my "Ultimate List of Dinner Ideas" tab up at the top of my blog header. It's a list of crockpot recipes. 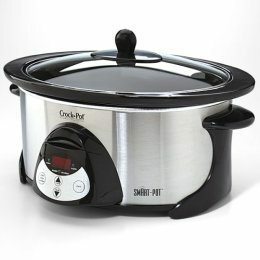 I have a few days a week where I don't have time before dinner to make dinner, so it needs to be either a crockpot recipe or a make ahead meal. Now I have a list of some of the things I make in the crockpot. Sometimes I make meatballs or taco meat and then just use the crockpot to keep the food warm on low until it's dinnertime. All righty, that's what we're having this week? How about you? What's on your menu this week?